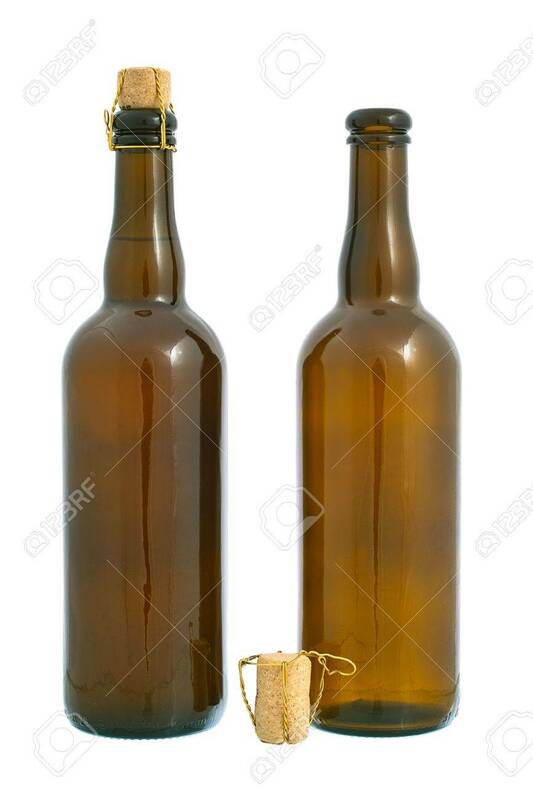 Two Dark Glass Beer Bottles And Cork With Golden Wire. Isolated.. Stock Photo, Picture And Royalty Free Image. Image 7601344.